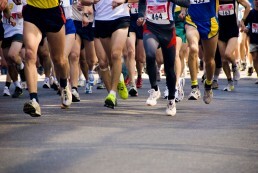 If you fancy a run for a good cause this Sunday, Centro Plaza shopping centre is hosting its annual charity race in aid of the Marbella Red Cross. pointed out the importance of these private initiatives which aid in the promotion of sporting and charity events and encouraged citizens to participate: “It is a pleasure for the Town Hall to participate in events like these” said Mérida, who will not be running this year but will be present to support the event. Carlos García, manager of Centro Plaza, highlighted that “Those who decide to enter last minute can do so at the starting point of the race before it begins, between 8:30 – 9:30 am”. The race begins by the Hotel PYR in Puerto Banús on Rotary International Street at 10am The track is 8 km long and runs through Puerto Banús goes along the boardwalk to Victor’s Beach where it turns and goes through Nueva Andalucía, before finishing at the Centro Plaza shopping centre. Shorter courses have been selected for the minor categories. For benjamines and prebenjamines they will begin at 11:30am and their course will be 400 metres long, alevines will begin at 11:50am, and their course will be 800 metres long. The cadet category will start at 12:15pm and have a course of 1600 metres.